TRW replacement control arm bushings are a crucial part of every control arm--one of the most mechanically impressive parts of the suspension system--which means it is important to replace bushings when they become worn or damaged. TRW bushings use premium-quality materials and are designed to perfectly replace OE units, ensuring years of trouble-free performance. 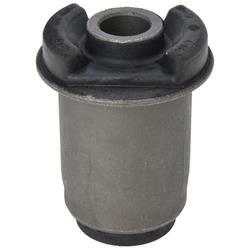 They offer a wide range of rubber, rubber and metal, and hydraulic bushes. TRW is a leader in quality aftermarket and OE automotive products. With some of the most rigorous testing processes in the industry, you can be sure that TRW products are the best in the business.